Anna Maria Island has become an easy traveler’s paradise. Tucked away from the vibrant urban sprawl of Sarasota and nearby Bradenton, it’s the perfect place for an off-the-beaten-path adventure. Anna Maria Island treasures quiet lunches, coastal wildlife, and wide stretches of beach, for those craving a little bit of “Old Florida”, where the South meets the tropical beach. 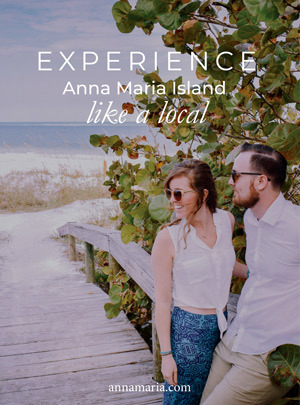 Anna Maria Island has some incredible locally owned restaurants to suit the sit-back-and-relax lifestyle you’ll adopt while on your island vacation. 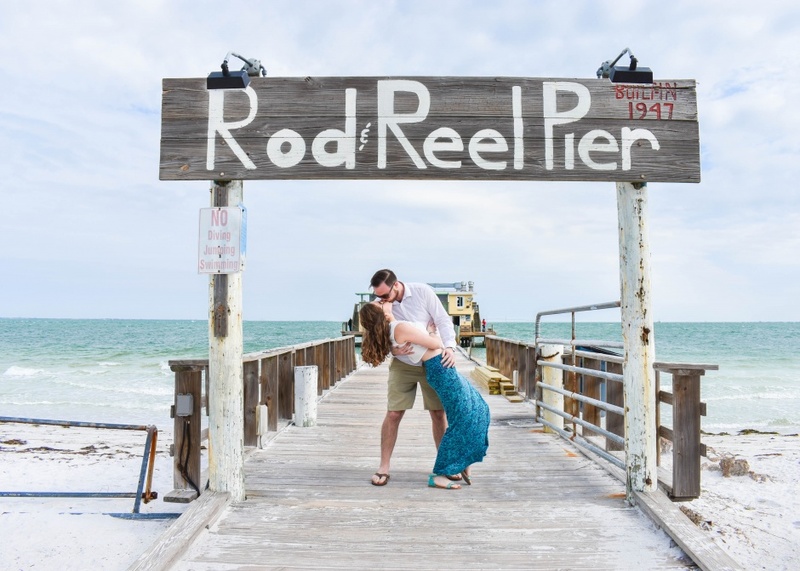 The Rod and Reel Pier, one of the most renowned Anna Maria Island restaurants, is a celebration of all that makes Florida historically rich and loved by so many. Head to the northern part of Anna Maria Island to spend an afternoon having lunch on the water at this casual joint. Many people talk about the appeal of dining near the water, but at the Rod and Reel Pier you can truly have lunch right over the ocean at the end of a pier extends into the gulf. Feel the surge of the swell beneath the two-story restaurant as you devour seafood and Southern comfort foods. Take in the beautiful view while you dine, at a place where the cool ocean air and sky meets the vast Gulf. The unique location and stunning view is matched by its menu, which features a diverse selection of traditional Southern favorites, such as crab cakes, jalapeño poppers, and onion rings. 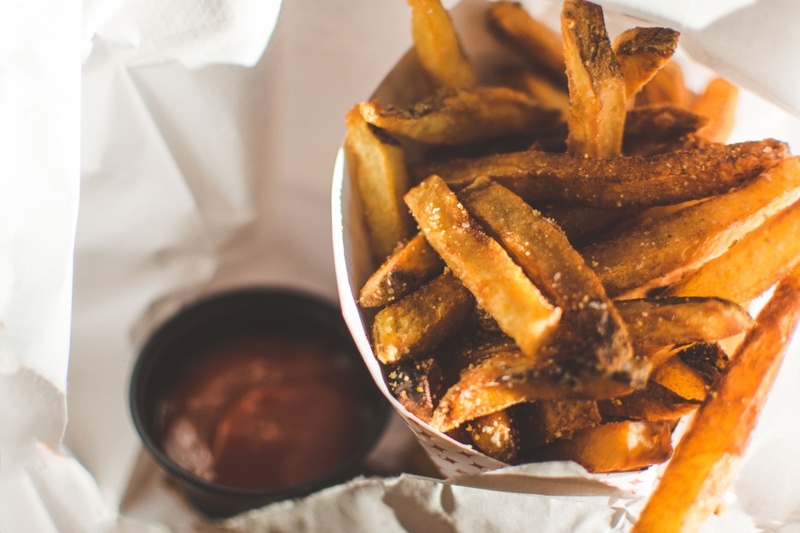 Other American classics (or versions of them), like the Grouper Reuben, steak and cheese sandwich, and the fried oyster po-boy sandwich are also available. The main courses are local seafood, seafood, and more seafood – making perfect sense for a restaurant that’s essentially in the ocean. You can get a little bit of everything with the Seafood Combo, which includes the trifecta of Grouper, shrimp, and scallops either grilled, blackened, or fried. All seafood on the menu carries current market prices, but you won’t leave this eatery with a light wallet. Seafood plates can be ordered as main dishes, with a choice of two sides: rice, coleslaw, fries, or grilled vegetables. Order a crisp beer as a perfect complement to your meal on top of the ocean. If the sun’s still high when you finish, grab a rod and go fishing off the pier while you have that last drink. You may want to stick around for an unobstructed view of the daily breathtaking splash of color in the sky as the sun sets over the Gulf of Mexico. Florida is home to a vibrant and rich history that dates back further than almost any other region in the United States. “Old Florida,” as it is referred to fondly by Floridians and visitors alike, can be experienced in architecture, old forts, historic sites, art, culture and even in cuisine. The Rod and Reel Pier is Old Florida, through and through. From the flavors to the off-the-dock fishing (for a small fee), this restaurant is quant and simple with a nostalgic vibe. The natural wood finish and casual dining atmosphere is a perfect match for its location and menu. 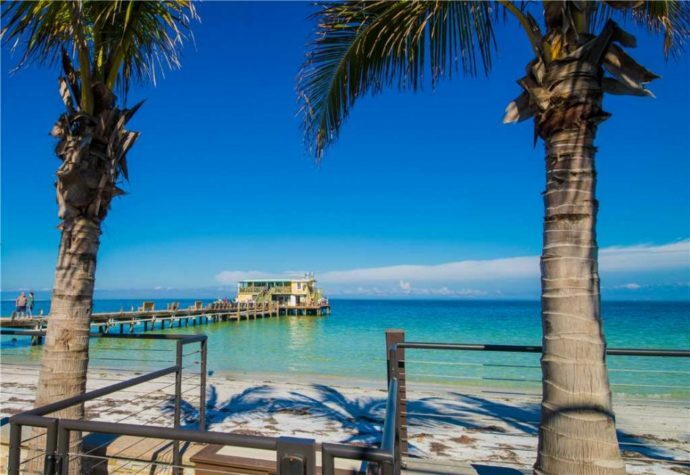 Nearby along Bay Boulevard and Pine Avenue you’ll find several attractions to explore before or after your lunch including Bayfront Park, the Historic Green Village, the Anna Maria Historical Society, and a variety of interesting boutiques and stores. The famous picture-worthy Bean Point is also within walking distance. Spend some moments on the powdery white sand beaches running up and down the coast to work up an appetite– many of them near our Anna Maria Island vacation rentals. If you’re up for it, you could even walk or bike from Manatee Public Beach or even Coquina Beach further south to the Rod and Reel Pier, perhaps with a free trolley ride in-between to cut the transit time down. In any case, the Rod and Reel Pier unquestionably embodies Old Florida’s rustic, tropical vibe – in flavor and atmosphere and it’s a sure winner no matter when you choose to drop in. Taste authentically local seafood at the Rod and Reel Pier with a view to write home about at 875 N Shore Dr. – just look for the pier!